Integrative Cancer Care at Bastyr Center for Natural Health focuses on mind, body and spirit. Integrative oncology treats more than cancer by looking at the full picture of your health. After receiving a cancer diagnosis, the onslaught of emotions a patient deals with must be delicately balanced with the myriad decisions regarding treatment. But what often is forgotten is how you will be able to maintain a good quality of life throughout the process. Integrative cancer care aims to help you keep quality of life at the forefront of your treatment plan by looking beyond the cancer to treat your mind, body and spirit. 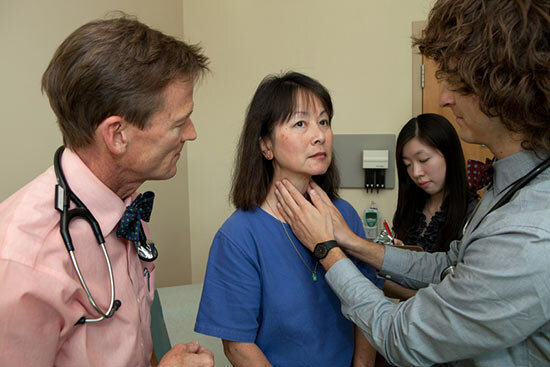 “Our goal is to improve not just the quality of life of people living with cancer, but also to reduce the risk of cancer recurrence,” says Matt Brignall, ND, who supervises students at Integrative Cancer Care appointments at Bastyr Center for Natural Health. In 2009, Bastyr Integrative Oncology Research Center (BIORC) in Kenmore began studying integrative cancer care and seeing research participants under the direction of Leanna J. Standish, PhD, ND, LAc, FABNO. Two multimillion-dollar grants and nearly 650 patients later, BIORC outgrew its clinical space and began seeing those research participants as well as other integrative cancer care patients in March 2014 at Bastyr Center for Natural Health, the teaching clinic of Bastyr University. “We need a bigger, better space,” says Dr. Standish, who also supervises students in Bastyr Center’s Integrative Cancer Care shift and sees integrative oncology patients in private practice at Bastyr Center. So far, nearly 650 oncology patients in all stages and types of cancer have participated in BIORC studies. Although research is ongoing, preliminary results suggest that integrative cancer care may extend the lives of patients with advanced cancers. BIORC will continue to research the outcomes of the integrative cancer care taking place at Bastyr Center and other participating health clinics. To participate in an Integrative Oncology Research study, go to Bastyr University's Participate in a Study website or call (425) 602-3311.